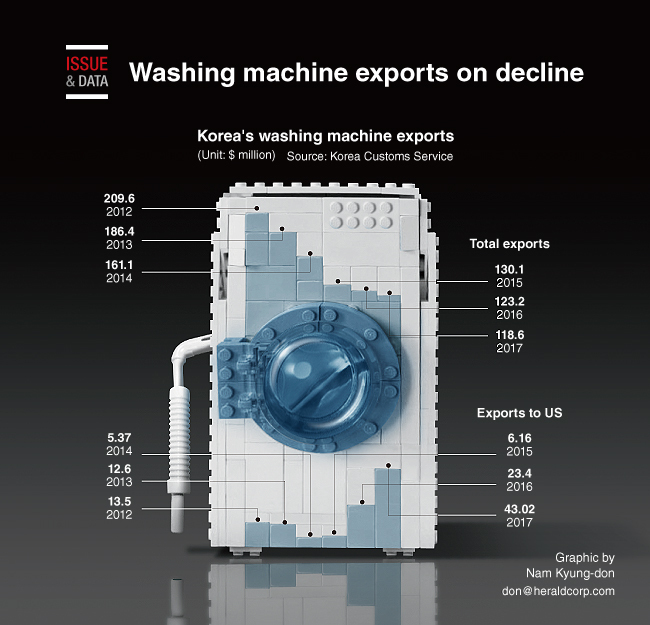 South Korea’s washing machine exports have nearly halved over the past five years due to US safeguard measures. According to the Korea Customs Service, exports of washers last year amounted to $118.6 million, down $4.56 million from the previous year. Last year’s exports were about half of the $209.59 million in 2012, data showed. Exports of washers to the US fell to as low as $6.16 million in 2015 but bounced back to $23.4 million in 2016 and to $43.02 million last year.